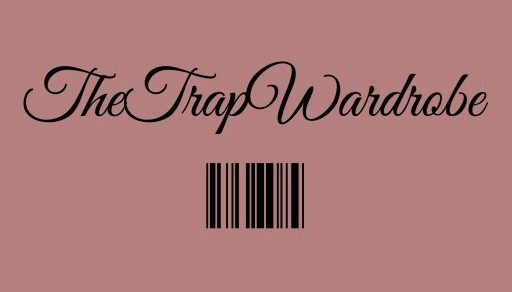 February 12, 2018 February 12, 2018 thetrapwardrobe1 Comment on Lash Recovery||Taking off the extensions! Lash Recovery||Taking off the extensions! Last year, was my first year, working a big girl job. I got that big girl paycheck and I splurged on some luxury things and had my vices. One of them, being lash extensions. I wore them for almost a straight year. I know… that’s a long time. I didn’t see my real lashes for almost a year. I got scared that there would be missing patches and sparse hairs. So, I made the decision to take off the extensions to give my lashes a break. It was a hard choice taking off the extensions because nothing beats waking up flawless, saving time in the morning, and wearing less makeup. But, for the sake of my lashes, I had to do it. So, that’s when I stocked up on strip lashes and began the healing process. When my extensions were falling off I wore the individual lashes until they completely fell off. Then, for two weeks I wore lashes everyday. Now, I just wear mascara and strip lashes for the weekend. These are some of my favorite strip lashes and mascaras! I also use castor oil every night before I go to bed so they get some nourishment. Castor oil promotes hair growth, prevents premature graying, heals scabs, and conditions the hair. I used these when my extensions were in-between fills and especially when I was waiting for all my lash extensions to fall out. These ones gives me natural looking lashes and they have a clear band. These are reusable and they last up to about 5 wears for me. These give me a lot of length and they are super wispy. I like to wear this when I’m going out or on a dinner date. These are super wispy and very affordable. I get a 6 back for $12 on Amazon and I get 1-3 wears out of each pair. They are great to double up and give a dramatic wispy look. These are my favorite dramatic lash! They give length and tons of volume. I only wear this when I go out and with minimal eyeshadow. Personally, I can’t pull off a full eyeshadow look with dramatic lashes. It doesn’t look good on me so I usually just swipe one color over the lid. This is a two step mascara that has a primer and then the fiber mascara for volume. The primer is black so I don’t have to worry about forgetting any white marks. It lengthens my lashes and the other end adds volume with the fibers. I notice a big difference when I wear this mascara. This mascara has been my all time favorite ever since it came out. The brush grabs everyone of my lashes and gives it more volume. My lashes are pretty long but the problem is, they’re thin. This adds volume to my lashes without making it look clumpy. Previous Real Talk || Platonic Friendships?